Budget Attachments & Parts is inviting visitors to explore its new and improved website and blog. The website has been designed to provide a user-friendly experience, with improved functionality and navigation throughout. A one-stop for all forklift related news, information and parts purchases. Budget Attachments & Parts recently announced the launch of a redesigned, mobile-friendly version of its website. Key features of this new website include a more attractive, cleaner and easier to navigate design that offers a more engaging user experience. The result of this new design is enhanced navigation and search, as well as the ability to read-up on the latest trends and news in the industry. It is truly a one-stop for all forklift related news, information and parts purchases. The newly designed website provides extensive information on the various products offered to assist customers in better understanding the Budget Attachment & Parts line of forklift parts and components. Trending topics and news, along with technical explanations work together to provide a detailed overview of the capabilities of the company across a number of sectors, including commercial, construction, industrial, etc. Completely redesigned with the user experience in mind, this new, mobile-friendly website has been designed with the latest and greatest in terms of technology, which ensures the website is compatible with today’s various browsers and mobile devices – without having to use outdated Flash for viewing purposes. This alone makes the site easier to use and explore. Another new feature is the regularly updated Budget Attachments & Parts blog. Here, customers can learn about products offered, applications for various forklift parts and components, when service and maintenance is needed and more. When a product is required, the site structure makes it simple to find what is needed with a convenient search feature and well-detailed product descriptions. Each of these sections work together to keep customers informed about the products offered, which makes the entire purchasing process easier. The new website and blog offers richer online content that is much easier to navigate, search and share. 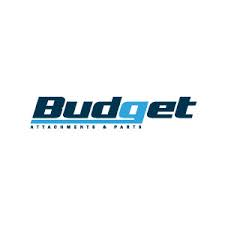 Regardless of the type of machinery in use, or needed, the new website offered by Budget Attachments & Parts ensures the information required is easily found and put to use. Furthermore, the new design makes it easy to share great deals on hard-to-find parts, information and news from the site across social media platforms, such as Twitter and Facebook.